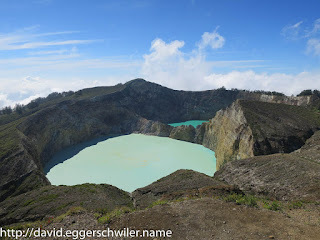 I had three days of resting in Maumere, which I used for a short excursion to the Kelimutu vulcano. Kelimutu is famous for its three crater lakes. Every lake has a different color and the colors change from time to time to blood red or pitch black. When I was there the lakes had a more or less normal color, ranging from turquoise to yellow. 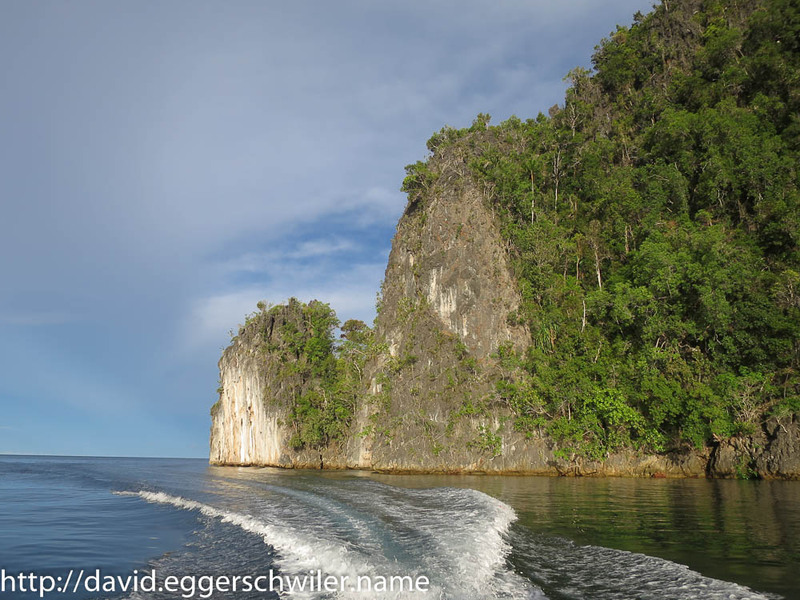 On Monday, I boarded the Pindito again for the second leg of my trip, covering the 2'092 kilometers up northwest to Sorong in 17 days. Our first stop was the island of Kawula where we had a magical night muck dive. It started with me discovering something strange that was moving through the sand. An Indian Walkman, also known as Spiny Devilfish. 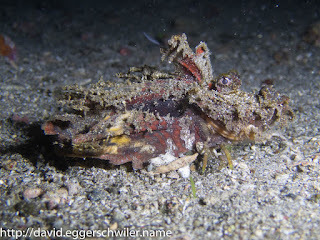 Then we came across a large Winged Pipefish, a Broadclub Cuttelfish, and a tiny Bobtail Squid! 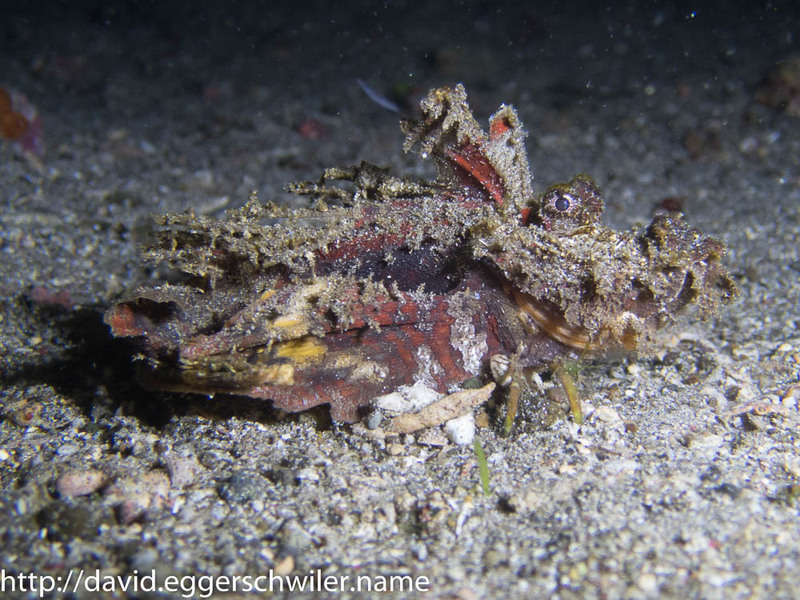 Shortfin Lionfish and a Giant Box Crab were next and if that wasn't enough we finally found the fabled Weedy Scorpionfish (Rhinopias), that the other divers had spotted throughout the day :). 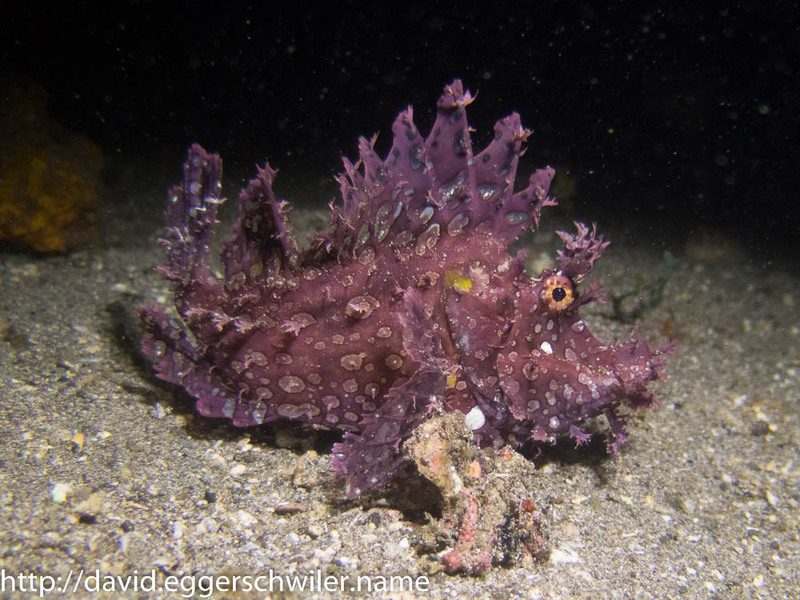 Definitely one of the most varied and captivating night dives in my diving career! 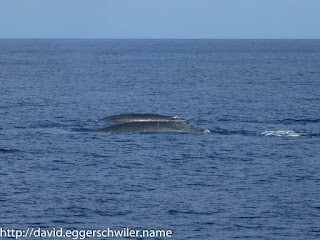 On the next day we had a surface interval near Padar island, when Blue Whales were spotted. Some of us took a Dinghi and tried to follow them. I stayed on board. Soon after someone shouted Mola Mola! 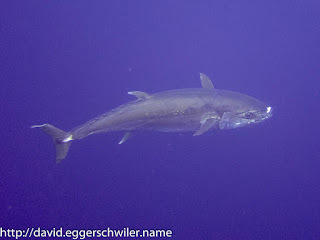 And indeed a Sunfish was surfacing and waving it's fin out of the water just 50 meters from the boat! 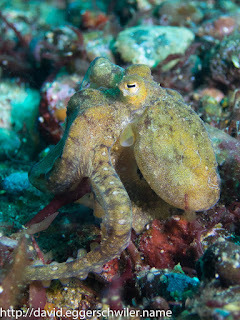 At Paduar we dove a site called Baengabeng Bay and we spotted four small Octopus in very close succession. Some of them posed very nicely for the camera :). The next day we dove at Wetar, the last large land mass we would see for almost a week, and there was a historic moment, my 555th dive! 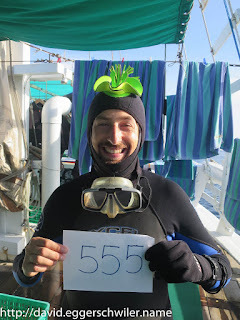 To celebrate I was honored with a special hat *g*. 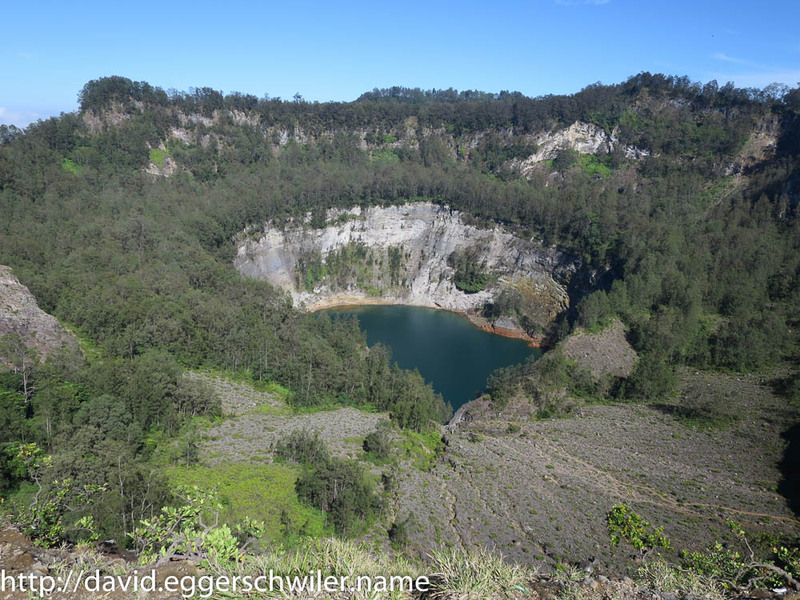 One interesting aspect of this trip was to observe the changing landscape, from lush forested islands over semi-active volcanoes to tiny islands and finally the lime-stone formations in Misool. 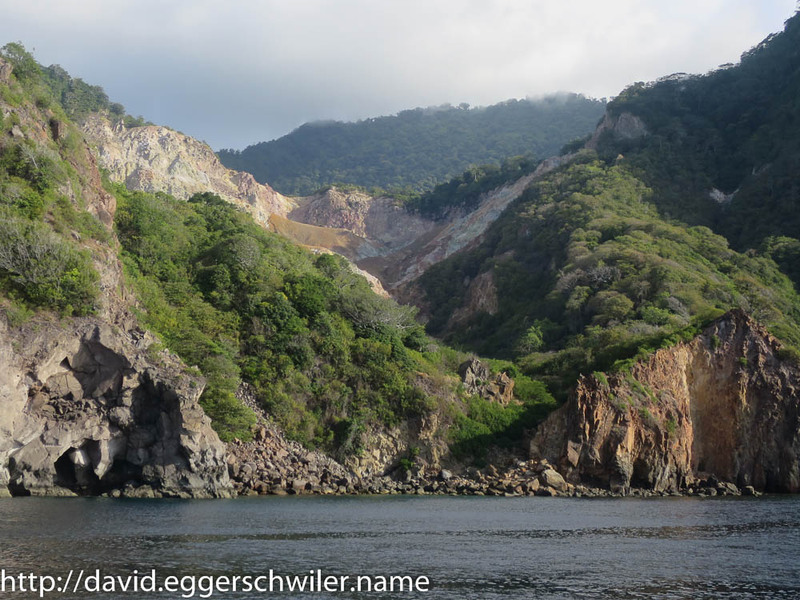 At Teun island we were greeted with a strong smell, a sign that the local volcano was still active. 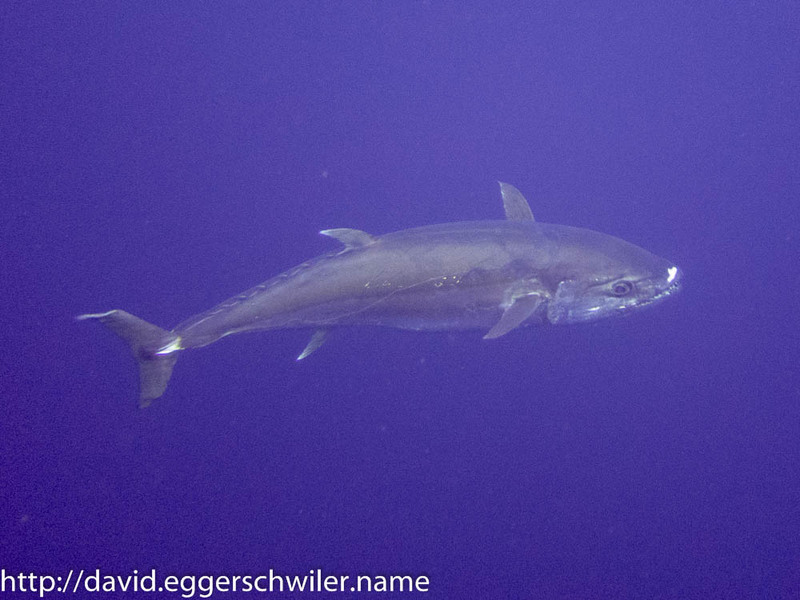 The next day we dove at Dosborgh reef, a very remote corner in the Banda Sea, there I had a very close encounter with a huge Dogtooth Tuna. I turned my head and was staring right into his ugly mouth! 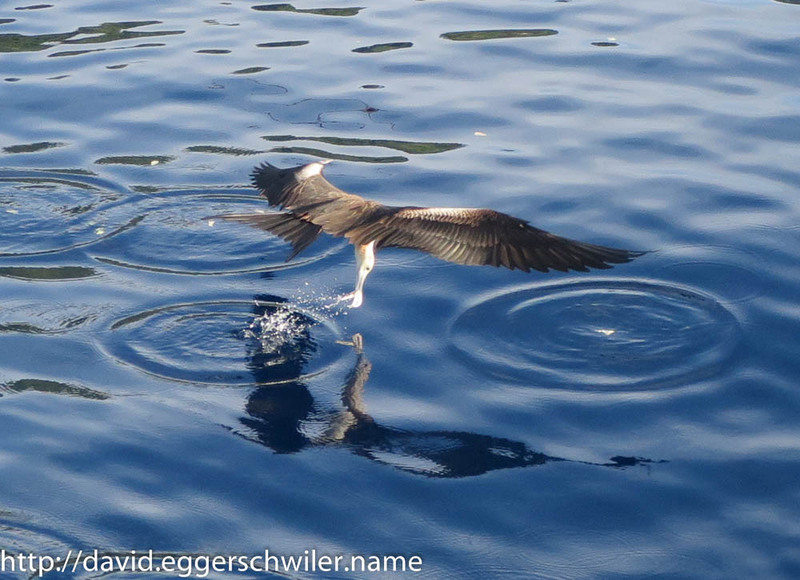 I was so baffled I could only take a picture when he was already swimming past. But that was definitely a memorable moment! 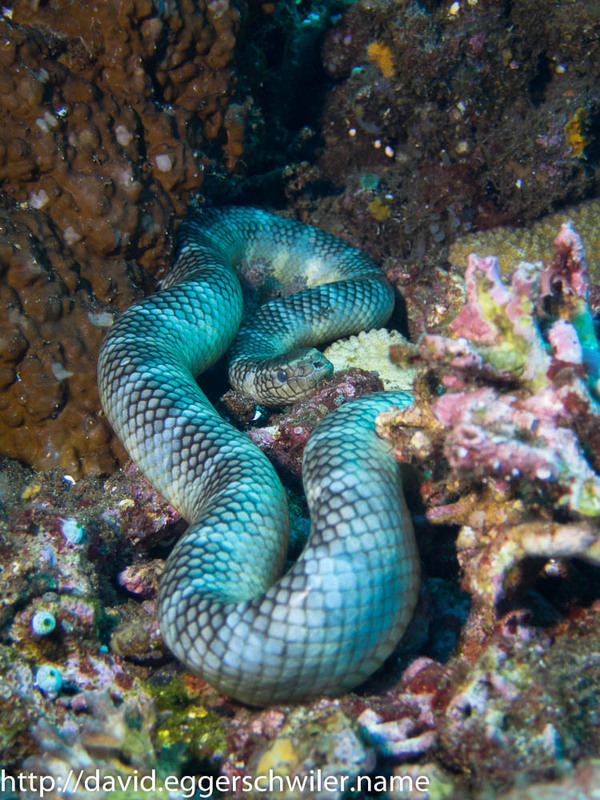 At Gili Manuk, one of the Snake islands of the Banda Sea, I counted 50 sea snakes during the first 45 minutes of diving! The following dives it abated a bit, but in the end the count still ran up to 109. An amazing day with many close encounters of otherwise rather shy creatures. Before heading into Banda Neira we did a small detour to go Whale watching, because on previous trips there always were Whales present southwest of the Spice Islands. 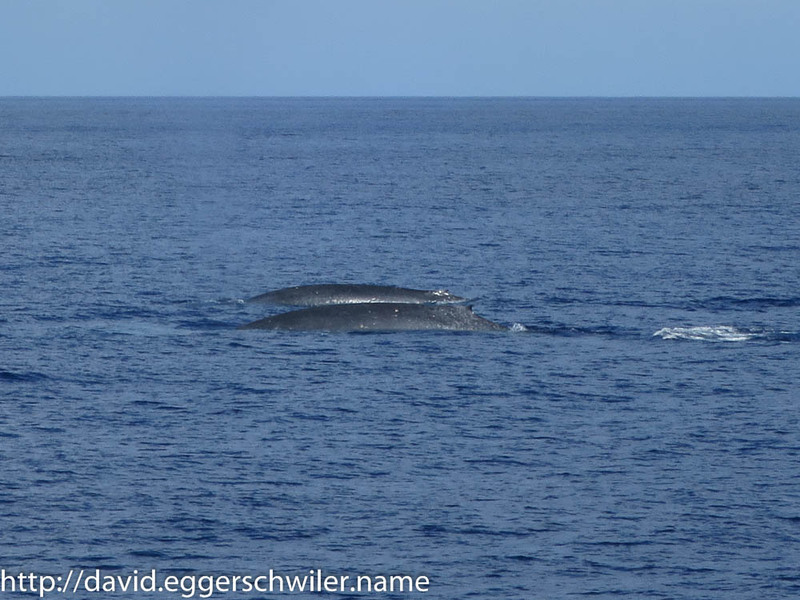 And we didn't have to wait long until we spotted two Blue Whales, a mother and her calf! 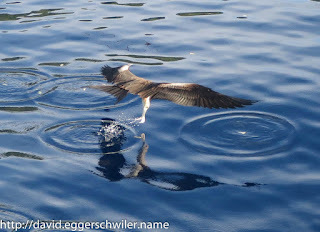 They surfaced several times and through smart maneuvering once very close to our boat! Edi, the owner of the Pindito, used a drone to capture this fascinating scene. From the air one could see the whole whale through the water surface. The video is available on YouTube. 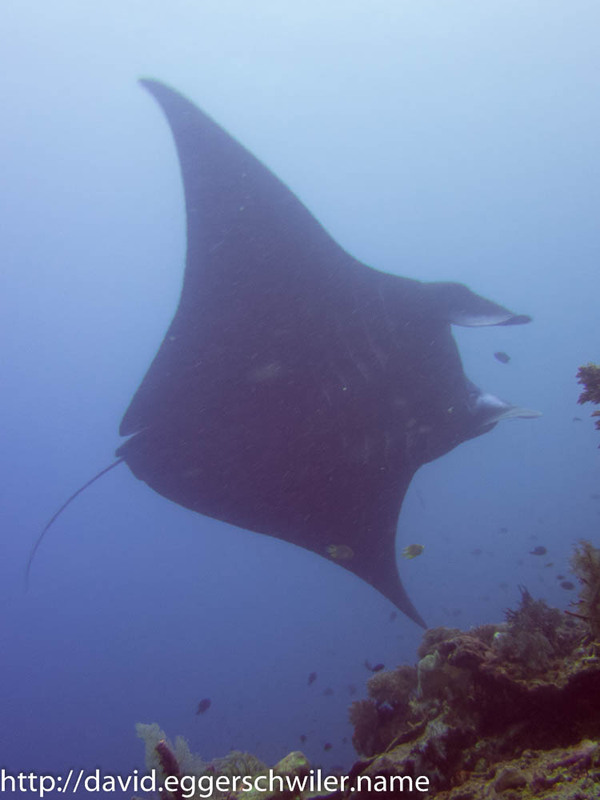 Over the last two days the other groups, we dived in three different groups of four to six divers, were lucky enough to spot a Great Hammerhead. 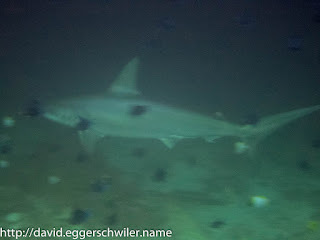 Today was finally our turn, strangely it was always the same dive guide, which are rotated through the groups daily, that had the encounters, which gave him the nickname Mister Hammerhead :). Our encounter was at 31 meters and the Hammerhead was very busy, thus the picture does not meet my usual standards. 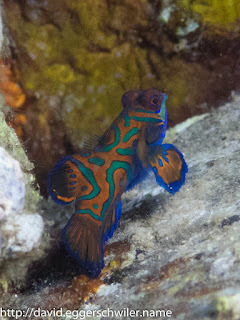 In the Banda Neira harbour we did an afternoon and a sunset dive and I spotted my first Mandarinfish there :). 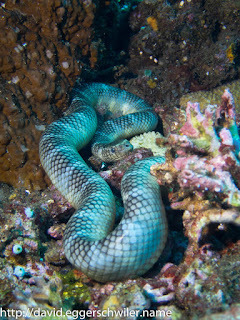 Those creatures are normally extremely shy, here they didn't mind the divers as long as no torch was used. We also had some time to visit Banda Neira town the next morning. It has a very gruesome history. During dutch colonization in the 17th century most of the local inhabitants were butchered and replaced by slaves from Java. The dutch Fort from that time is still standing and stands as a reminder of this time. 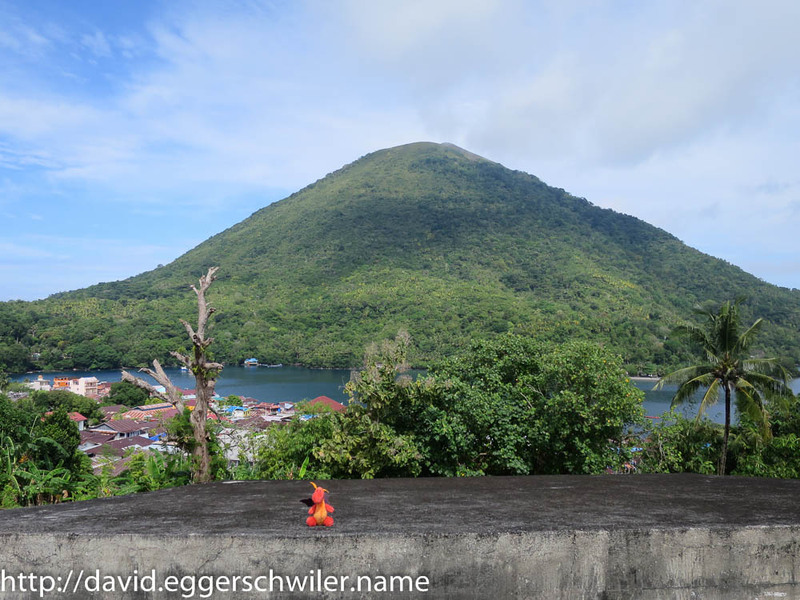 For tourists the fort offers a beautiful view of Gunung Api, a volcano that last erupted in 1988. 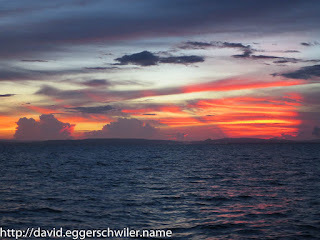 On our way past Koon into Raja Ampat we encountered the most spectacular sunset of the whole trip. 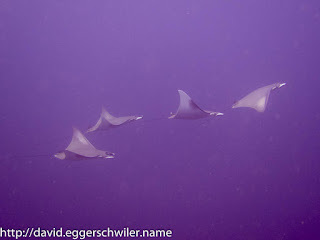 Misool was also spectacular for the sheer amount of fish life present, at times we just hooked into the reef and watched one school passing after another. 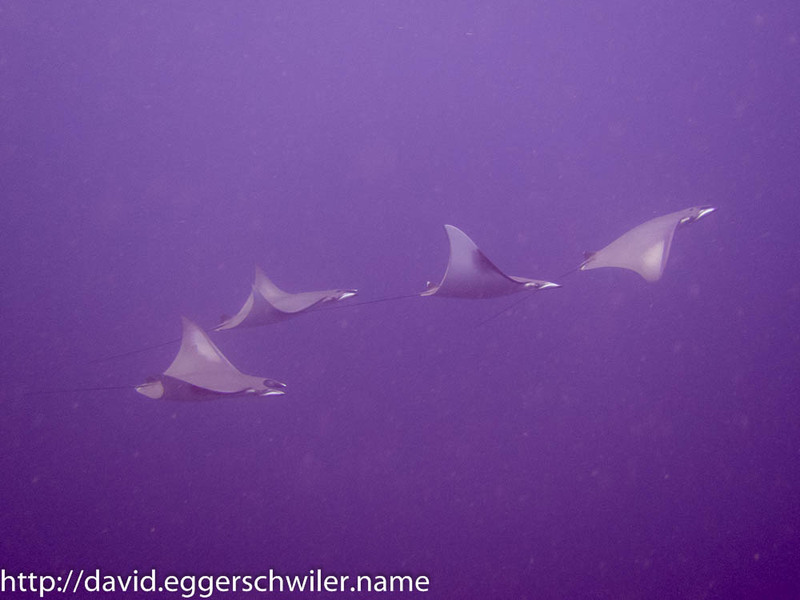 One lucky dive we spotted four Devil Rays (Mobulas) passing by. But Misool also offered spectacular views above water with its limestone cliffs and wooded islands. 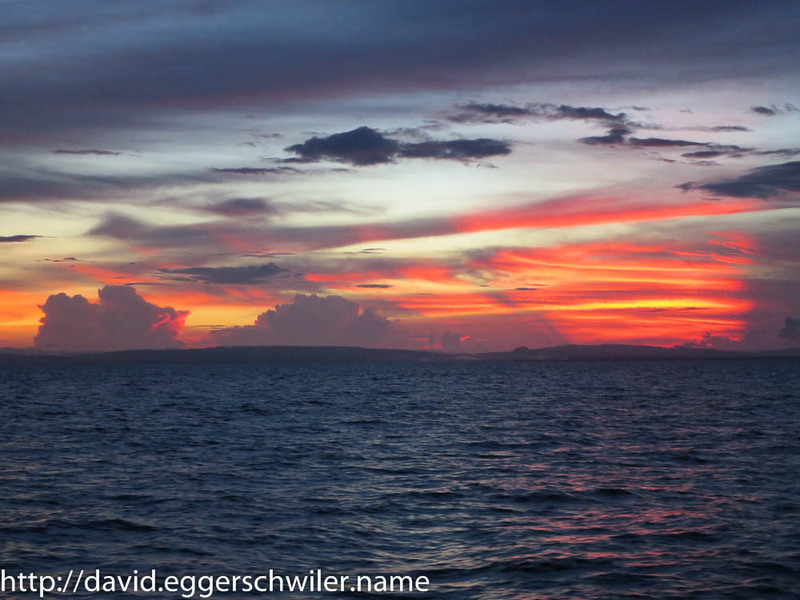 And so, after 17 fascinating dives we reached Sorong harbor and it was sadly time to say good-bye. During this leg of the trip I managed to do 48 dives and observe creatures covering the whole spectrum, from tiny Nudibranches to huge Blue Whales. I had a fantastic time and would like to thank the whole Pindito team and crew for this unforgettable journey!